This week I’m at the meeting of the University-Industry Development Partnership, a two-day conference up at UCI that’s trying to focus on university-industry collaboration. Because of our location, there has been some local color (besides the weather). Interestingly, UCSD Connect is prominent here — everyone acknowledging (at least in its heyday) it as the global model of university-industry cooperation for tech startups. For example, one of the sessions was a discussion of how UCI is making a two-day conferencea second attempt to replicate Connect: this second attempt appears both to be more successful, and also to have improved on the Connect model in a couple of ways. Another local speaker was Dr. Henry Samueli, a former UCLA and UCI engineering professor who co-founded Orange County’s largest and most successful electronics company: Broadcom. From his Broadcom billions, Samueli donated money to name the UCLA and UCI engineering schools and buy the Anaheim Ducks. 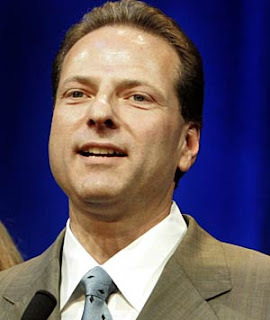 Samueli was chairman of the board of Broadcom until he stepped down May 15 due to accusations of stock option backdating. (He resolved the accusations last week with a plea bargain leading to a fine and probation). Hiring the best and brightest engineers is what it’s all about. If I had to pick one thing about being a successful technological innovator, it’s hiring the best and brightest technologists. His discussion of an open communication, achievement-motivating culture also sounds exactly what we heard about Linkabit. It’s almost all product development in the near to mid term. Almost no basic research can be afforded in that budget — only a tiny bit. Despite this focus on development rather than research, Broadcom has aggressively patented its technologies. The number of granted patents rose from 456 in 2003, to 824, 1627, 2625 and now 3300 in 2007. He proudly pointed to an IEEE Spectrum article on patent impact using statistics compiled by the consulting firm 1790 Analytics. For San Diego readers, the biggest interest in Broadcom is its patent infringement suit against Qualcomm that it won 18 months ago. Frankly, I thought inappropriate (and off topic) to ask about the lawsuit, but someone else did. When asked about the issue of patent cross-licensing, Samueli said that it had many cross-license agreements. Earlier, he had noted that Broadcom would prefer to have a situation where patents were not a factor — that Broadcom could race to be first without regards to patents. Cross-licensing does not (of course) include Qualcomm: “We’re having these issues with Qualcomm — we’re trying to get to that point.” Obviously, Qualcomm issuing a royalty-free cross license would destroy their business model, so there is no way to reconcile to fully satisfy both sides. Photo credit: 2006 photo of Samueli from the Los Angeles Times.